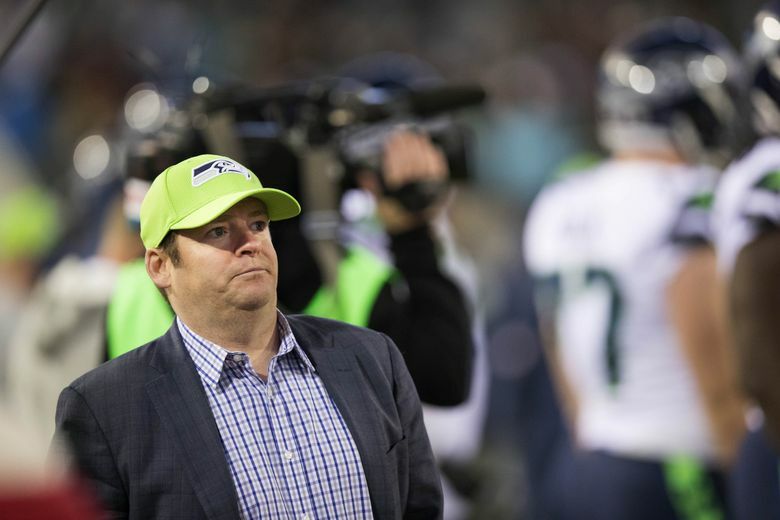 Could Seahawks GM John Schneider be a candidate for the suddenly vacant Green Bay job? Seahawks general manager John Schneider could be a candidate for the suddenly vacant job as GM of the Green Bay Packers. Green Bay Packers general manager Ted Thompson is stepping down, according to multiple reports that surfaced Monday afternoon. And that led almost immediately to rumors that Seattle general manager John Schneider could be considered as a replacement. The reasons why are obvious — Schneider grew up in De Pere, Wis., about six miles from Lambeau Field, where he was a diehard Packers fan and then later got his start in football in the Green Bay organization. Schneider, in fact, famously got his foot in the door with the Packers by calling then-general manager Ron Wolf out of the blue while a junior in college and saying he was willing to work for free. “That’s how it starter,” Schneider said in 2016. Schneider served as a pro personnel assistant for the Packers from 1993-96 and then after stints with the Chiefs, Seahawks and Washington was named as Green Bay’s personnel analyst to the general manager in 2002 and then director of football operations in 2008. Schneider became the executive vice president/general manager with the Seahawks on Jan. 19, 2010, hired eight days after the team hired Pete Carroll as coach, with Carroll essentially bringing on Schneider to run the personnel side of the organization The two have since worked in relative lockstep in lifting the Seahawks to the greatest run of success in Seattle history, including a Super Bowl title following the 2013 season. It was reported that Schneider had a clause in an earlier Seattle contract that included an out if he wanted to return to Green Bay. When Schneider signed a new contract with Seattle in the summer of 2016 that takes him through the 2021 season and reportedly pays him $4 million a year, Schneider said it did not include an out clause. But not having an out clause wouldn’t mean that Schneider couldn’t ask for permission to interview and receive it, and his name was immediately bandied about in rumors. Early reports indicated the team has four internal candidates —Eliot Wolf, Brian Gutekunst, Alonzo Highsmith and Russ Ball, the latter team’s vice president of football administration and player finance. But other reports stated the Packers will consider all options. That could mean that there will be speculation about Schneider until the moment the Packers hire someone or it is revealed he is not a candidate. Schneider does not typically talk to the media during the season other than a pre-game radio show, often speaking only at off-season events such as the NFL combine, league meetings and the draft.